The Last Battle-Major Julius Rock. I received this email while I was at the last liberator-survivor reunion. After the book was published, my father received a letter from a Connecticut woman who had been a child on that train, along with her mother. Dad had never spoken about this to me, but he began to talk about it. He talked about the strict orders given about how to feed the liberated survivors; he said that only rice water was to be given for the first several days. I understand that in other places many survivors died in similar situations from gastro-intestinal shutdown from being overfed. All of my father’s maps and pictures are archived in the Jewish War Veterans’ Museum in Washington, D.C. I do have some photocopies of some of the pictures, including, I believe, the train. I’m heading to Washington this summer to conduct more research at the Holocaust Museum and to see Rock’s documents at the Jewish War Veterans’ Museum. I have located the woman in CT that this writer speaks of, as well as 60 or so other child survivors. Actually, she located me almost 2 years ago, and now Rock’s daughter has found me. And to find this information in a major work that was published 4 decades ago is amazing to me. I asked the school librarian to see if we had it yesterday. He handed me a first edition that had not circulated since 1978! It is chock full of references to the 30th Infantry Division, and in the back I even found in his list of interviewees a 30th ID vet from Hudson Falls, NY, our own town! I’ll be chasing down that lead, you can be sure. Post Script: I was very lucky to find author Cornelius Ryan’s (The Longest Day, The Last Battle, A Bridge Too Far”) daughter as well. He passed away in 1974. When the star studded film “A Bridge Too Far” came out, I remember it was one of the rare moments in high school when my father and I did something together and went to see the film at the local cinema (and I remember it vividly- we both commented how much our butts hurt from sitting for three hours in the uncomfortable chairs, but it was still a father-teenage son moment). I also called the widow of the 30th Infantry Division veteran that Ryan interviewed for the book from our own small town- he passed away the same year as Ryan, 35 years ago. But his widow remembered the interview well. Now I’m off in search of additional liberators of the train in Ryan’s notes with his archivist in Ohio. “This is really a amazing series of events.. Strange, I was watching Schindler’s List on HBO last night and I was so moved by the ending when the living survivors paid tribute to him at his headstone. I guess I will never be able to “get my head around” what happened to the Jewish people and man’s inhumanity to man. I was the guest speaker at a local temple this evening. It was a beautiful ceremony of remembrance, with music and song…. I may have been the only non-Jew there and I was the honored guest. I kept biting my lip and hoping I would not lose it, or cry, when it was my turn to speak. And then it dawns on me… the last time I got really emotional about all this was at the same time last year, sitting in the temple, participating in the service and waiting for the cue. Sometimes I wonder how I manage to hold it all together… and I know it’s because I do not force myself to slow down and think about it all. Why is this happening to me? How can I be so blessed as to be a conduit between survivors and their new found liberators, the American soldiers responsible for the lives and the families that they have created over the past 64 years? Why do these new coincidences and miracles, these amazing people with stories of tragedy and triumph, of survival against the odds, keep coming to my inbox or telephone, without solicitation? Why do these amazing, interconnected and intertwining threads seem almost to be weaving themselves into a tapestry of unfolding time? In the end, I can’t go there. How can I? Just let it be, just let it unfold, I tell myself. We slowly recite the names: Belsen, Sobibor, Belzec, Buchenwald, Dachau, Treblinka, Chelmno, Auschwitz…, read the poems of destruction and the prayers of hope, and wonder about the redemption of the human race. The Kaddish, the prayer for the dead, is said. It was touch and go for me for a little while. In the end, I did fine. Folks were very thankful and kept coming up to me after the service. A very nice lady came up and proudly insisted that she was my fourth grade teacher, though I don’t think that she was. I told the congregation of my work and the work of my colleagues with the United States Holocaust Memorial Museum. And I informed them of the death of our liberator Dr. George C. Gross. I read to them the eyewitness liberator account that I received out of the blue on March 11th, and told them of our recent reunion and our plans for one final upcoming reunion between liberators and many survivors. At the very end, a beautiful older woman approached me as I left the temple and told me that before her conversion to Judaism 15 years ago, she had never been taught about the Holocaust and knew very little of it…then, as she made small talk and I was contemplating my exit strategy, she touched me, held my hand and stroked my arm warmly, and told me that I was blessed, and that I had a special place in heaven. God himself is preparing a special place. But not too soon, I try to joke. The greatest crime in the history of the world. And I guess my own personal responsibility is to try to keep the memory alive, because it will fade as our liberators and survivors pass on. But not too soon, I hope. Each mound of victims’ ashes represents a different concentration camp. A traditional depiction of Death hovers over the six inmates of a camp who represent the six-million Jewish casualties during the Holocaust. On the left foreground is the exhortation: “Remember” in six languages. Martin Spett was liberated on the train near Magdeburg. Survivors, (seated) 30th Infantry Division, Matthew Rozell. 3-27-09. They were teenaged G.I.s, happy that World War II was winding down and that they’d survived. But the story of what happened that April morning in 1945 still lingers. It involved a train shuffling 2,500 Jews from one death camp to another as the Nazis tried to hide their crimes. But with American units approaching, the German guards had no choice but to strip off their uniforms and flee, abandoning their human cargo near a forest. Luckily for 5-year-old Dutch Jew John Fransman, and the other riders of the liberation train, the U.S. Army showed up a few hours later. He remembers his mother’s body language changing when the soldiers came into view. “It was transmitted that this was good, that we were being rescued,” said Fransman, now 64, of London. Army’s 30th Infantry Division returned for a reunion that brought the story back. Most of the U.S. troops who were there for the train rescue, near Magdeburg in northeastern Germany, have died. But seven of the train’s riders – who in 1945 were teens and children assigned to the Bergen-Belsen concentration camp – have come in from all over the world. Hungarian-born Jews Stephen Barry, 84, and Robert Spitz, 79, both lived in Budapest before the war and were sent to Bergen-Belsen, later surviving the train ride. But they’d never met before Friday, with Spitz coming in from Raleigh, N.C., and Barry from Boca Raton, Fla. “Ten minutes ago,” Spitz said of their new friendship. Much of the train story came to light only in the last few years, including after history teacher Matthew Rozell of Hudson Falls, N.Y., got his students involved in World War II histories, sparking an Internet flurry of interest among survivors, soldiers and family members. 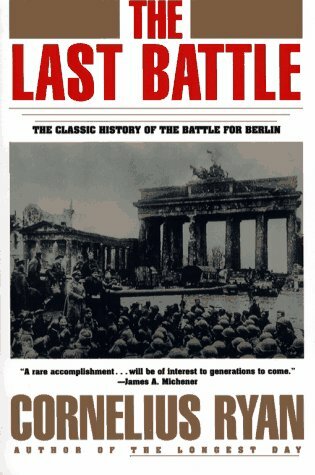 As the tale goes, the month of April 1945 was marked by a general collapse in Germany. The Nazis began shuffling prisoners around in movements that seemingly had no clear destinations. But on the fifth or sixth day of travel for the Bergen-Belsen prisoners, all movement stopped, with the train parked alongside a wooded ravine and the German guards in distress. The emaciated prisoners, many sick with typhoid and infested by “10 million lice” Spitz said, stood by waiting for something to happen. Barry remembers German SS troops on horseback trying to push everyone out of the cars, movements that were physically impossible for some. The troops finally gave up and rode off, only to return an hour later – a signal Barry took to mean they were surrounded. Hours later, units of the American 30th Infantry began moving in. “They were our angels,” said Ariela Rojek, 75, a train rider who emigrated to Canada after the war. She remembers the strange looks on the faces of war-hardened G.I.s who weren’t used to seeing atrocities against civilians. “They weren’t prepared,” she said. One American who remembers the refugees was Frank Towers, a 26-year-old Army lieutenant whose job included rounding up dozens of trucks and finding beds for the survivors in nearby villages. Until then, he didn’t fully appreciate the anti-German soldier propaganda he’d seen. “The German people weren’t these kinds of monsters,” he’d thought before finding the train riders. For the survivors, rescue marked the start of a long road of recovery, searching for relatives and starting new lives. But Barry still remembers one moment after his rescue when he sat by a campfire wearing a German SS soldier’s coat that he’d found to keep warm. An American G.I. came up to him, pulled out a pocket knife and cut the SS emblems off the jacket, dropping them in the fire. “He didn’t say a word, but he didn’t have to,” Barry recalled, as the reality of his new life of freedom set in. Copyright © 1995 – 2009 Evening Post Publishing Co. NOTE: This newspaper did a fine article and has some video which you may be able to view here. Is the Holocaust different from other genocides?